We're pleased to announce the inaugural release of the OneLogin Browser Extension for Edge (introduced as version 3.2.2.0). 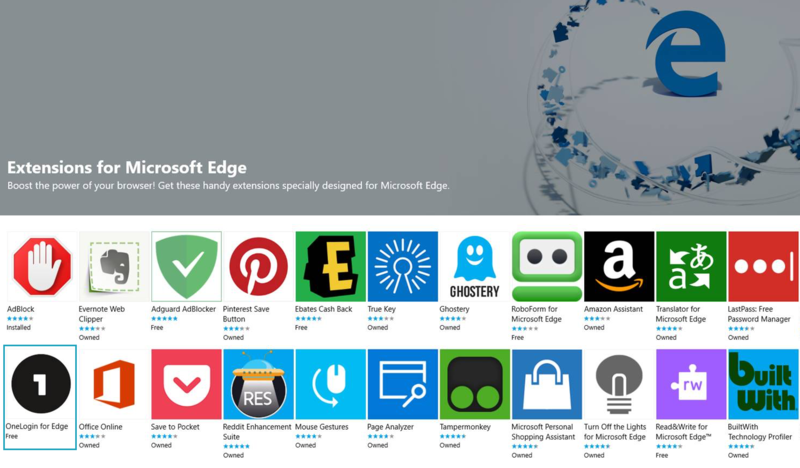 We're proud to be the first SSO provider to deliver a browser extension for Edge, and we are one of the very few vendors approved to provide their Edge extensions through the Windows Store. The Edge extension ships with a dropdown menu, one-click login, type-as-you-search, and detection of new logins using the new Add App dialog. For more information and installation instructions see OneLogin Browser Extensions.